Premium Quality ERC-32B Black POS Ribbon (6 pk) compatible with the Epson M 8200, 825, 935, TM-H6000 III, H6000II, TM-U675, Sharp ER 3550, 550, Casio CE 4200, 4700, TK 1300, 2700. The use of compatible supplies does not void your printer warranty. 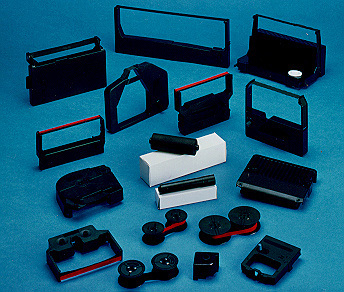 Premium Quality ERC39Bk Black Printer Ribbon (6pk) compatible with the Epson MU-110, MU-310, MU-311, MU-312. The use of compatible supplies does not void your printer warranty. Premium Quality ERC-39PL Purple POS Ribbon compatible with the Epson MU-110, MU-310, MU-311, MU-312. The use of compatible supplies does not void your printer warranty. Genuine OEM Epson ERC32B Black POS Ribbon. (6 pk) They are designed to work in the Epson M 8200, 825, 935, TM-H6000 III, H6000II, TM-U675, Sharp ER 3550, 550, Casio CE 4200, 4700, TK 1300, 2700 printer/copier(s).